Julian Belinski was one of Peter and Julia’s thirteen children, falling in the middle of the birth order; and like his siblings, he attended the Sand Ridge School. One of his classmates was Alec Makuley. The town folks nicknamed his father “Russian Alex” because his name was so difficult to pronounce. (The Russian name may have been a variation of Matayof, the Polish translation would be Mathews.) When Alec was about four years old, his father fell from a sleigh and broke his neck. Alec’s mother remarried but died while giving birth to twins. Alec was only five at the time. The children in his family, three sisters and four brothers, were then “given out, some to work and others had their board paid.” Alec was assigned to live with Valentine Patrick, who could not handle him claiming that he stole jars of fruit. Mrs. Patrick “thrashed” him so Alec ran away finding temporary refuge with several families, including the Belinski’s, finally settling at the home of a widower, Peter Patrick. His board was then paid by his guardian. One winter’s day Alec brought gun shells to school and tossed them into the pot bellied stove to the amusement of his fellow classmates but alarming the teacher. The cartridges were stolen from a Mr. Campbell; Alec admitted he had taken them but denied he threw them in the stove. Fourteen of the shells found their way into Julian’s desk. After prodding from the teacher, Julian said that it was Alec who was the culprit who threw the shells into the stove. Alec was then whipped. Children heard Alec say to Julian, “I’ll kill you for this.” Two children, Eugenia Paterka and Adam Mormurauski, accompanied Julian to Alec’s home with the lure of candy. Alec drew Julius into the house and then said, “I am going to shoot you.” The children, witnessing the shooting from the doorway, ran home to tell their parents what had happened. Alec dragged Julian’s body to a swampy embankment behind his house and tossed him down the hill. After the shooting, Alec went to Herman and Joszef’s house around sundown and ate supper there. All seemed perfectly normal to the Malinowski’s having no suspicions that anything was awry. Alec had already left their house, winding up at another neighbor’s farm, when Julia sent one of her children to Herman to summon Peter, who was ten miles away at the Edgerly’s camp. Julian came into the house to see my rabbit. We got talking about the rifle, and I was showing him how it worked. I pulled the trigger with the gun pointed at the floor, and there was no bang. I worked the cartridge chamber and looked in and there was nothing in there. Then I pointed it a Julian, and it went off. Alec admitted that Julian had told on him about the cartridges in the stove and Julius had blackened his eyes in a fight several days before, but claimed that these events had nothing to do with the shooting. The authorities were left with the decision of what to do with Alec. The prosecutor said that even if Alec had committed murder, “he was probably insane.” If the shooting was accidental, Alec would be released and given more “proper means of keeping him.” It was also suggested that Alec be examined by local doctors to determine his mental state. As Alec looked out from his jail window, he frequently remarked that he wished that he could go to junior high school like the boys he observed doing just that. What finally happened to Alec is unknown. His name may have been changed to Alexander Mathews. He may have been sent to a boy’s home downstate Michigan, possibly the Industrial School for Boys in Lansing. The professed goal of that school was not to punish but rather to help young offenders by teaching how to live an “honest life” through education and manual skills. The boys could be required to stay at the school until their 17th birthday. 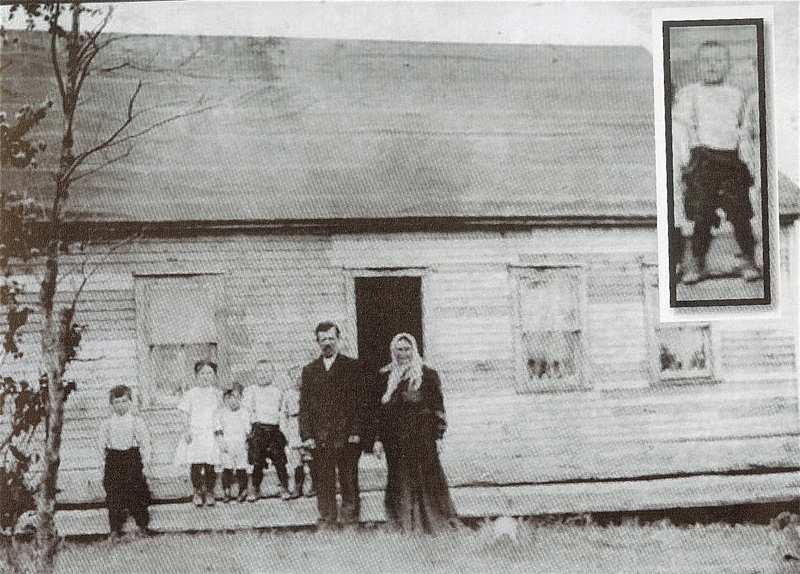 The Belinski family believed that Alec eventually moved to New York state, where a newspaper reported that he had been accidentally run over when he stopped to help someone stranded by the side of the road. However, the story cannot be verified. Retelling this story of Alec and Julian offers opportunities to examine the factors that resulted in this violence. Nostalgia for the “good ‘ol days” frequently clouds the tragedies that families faced not even a hundred years ago: lack of medical care, non-existent social services, corporal punishments and child abuse. Those who would strip social safeguards that provide basic level of care for children and their families only contribute to the desperation and violence that flow from that neglect. We know now that corporal punishment encourages retaliation because the child rejects the societal values of those who punish them. Society fails to recognize the anger engendered by punishment, and children are left with permanent scars that perpetuate the abusive cycle. It seems that society has repeated the injustices for 90 years as bullying, corporal punishment and underfunded social services for families continue to perpetuate school violence. Thursday, April 4, 2013, while visiting my Dear Aunt Helen Belinski Moyeart I had the opportunity to look through her birthday cards. She was born March 24, 2013. One of the cards had a blog site which lead me to speak with Shirley, Aunt Helen’s daughter. Shirley sent me this blog site and I have spent part of the afternoon reading through this amazing copulation of local family history. I had the privilege of interviewing Aunt Helen about her school life growing up on Sand Ridge with my father Peter Belinski and siblings for the Pickford Historical Society’s projected school year book to be published in the near future. When the copy was sent in for edit and Aunt Helen had talked about Julian in detail it is my belief that this tragic school shooting could be told and the articles from the local paper where added to the ” Pickford Schools memorybook 1878 – 1958″. Hi Shirley, thanks your comments. I would be very much interested in your recent interview with Helen, and would like to include any text of the interview on the blog. Or if you could let me know how I might access the Pickford Schools Memorybook, that would be great. You can email me at kaekalwaic@verizon.net. You saw my other page, a Journey through Time, where my sister and I had a chance to speak with Helen. We learned so much about our great-grandparents, of which we knew so little information before talking with Helen. I assume that Helen was born March 24, 1913 then? Ooops a huge mistake by me, Aunt Helen was not born in 2013!